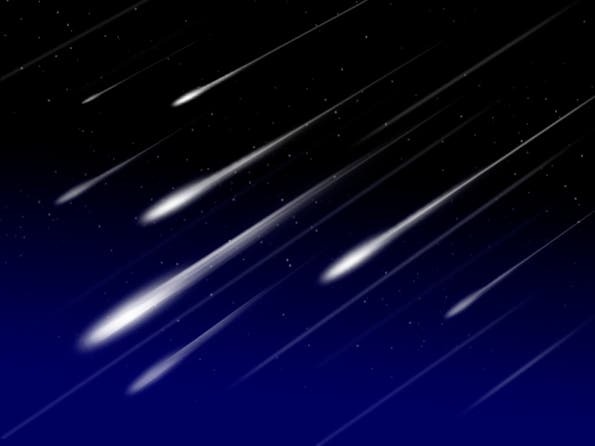 The 2012 Leonid meteor shower peaks on the night/morning of Nov. 16-17. If NASA forecasters are correct, the shower should produce a vivid display of meteors over North America, followed by a more intense outburst over Asia. The new moon will set the stage for what could be one of the best Leonid showers in years. Leonids are bits of debris from Comet Tempel-Tuttle. Every 33 years the comet visits the inner solar system and leaves a stream of dusty debris in its wake. Many of these streams have drifted across the November portion of Earth's orbit. Whenever our planet hits one, meteors appear to be flying out of the constellation Leo. The Marshall Center will offer a live Ustream telescope view of the skies over Huntsville, Ala., on the night of Nov. 16-17. Clear weather is forecast, so make plans to share their skies if your local weather doesn't cooperate. The live Ustream feed will be embedded on their site on the afternoon of Friday, Nov. 16. Do YOU Have Some Great Leonid Images? If you capture the Leonid meteor shower in photos, the Marshall Center invite you to add them to their Flickr "Leonid Meteors" group. This is a great resource to help your images get extra attention from the general public…and perhaps the worldwide media. For best meteor viewing Cooke suggests going to a location away from city lights, dressing warmly, and lie flat on your back and look straight up. No special viewing equipment needed—just your eyes.